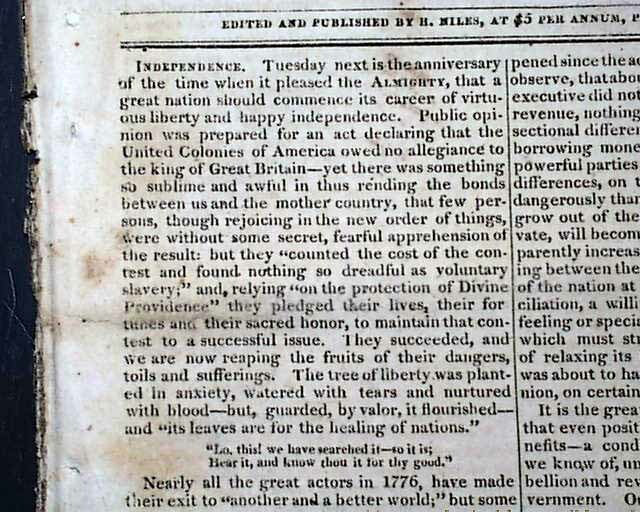 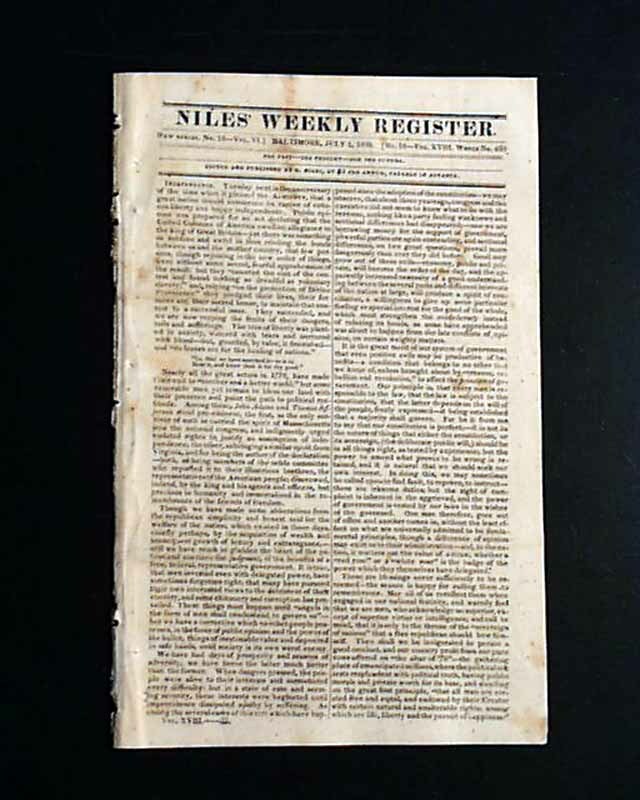 NILES WEEKLY REGISTER, Baltimore, July 1, 1820 The entire front page is an editorial headed: "Independence" concerning the upcoming anniversary of the 4th of July. 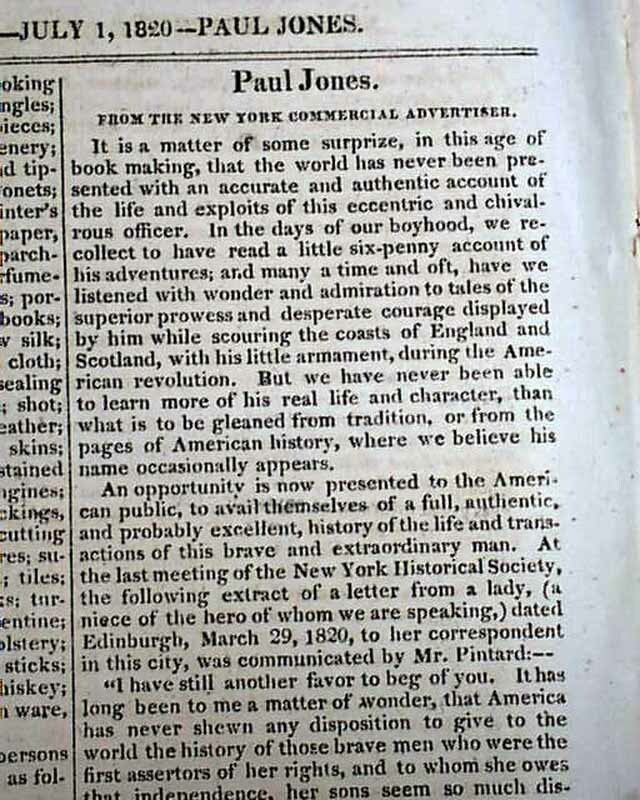 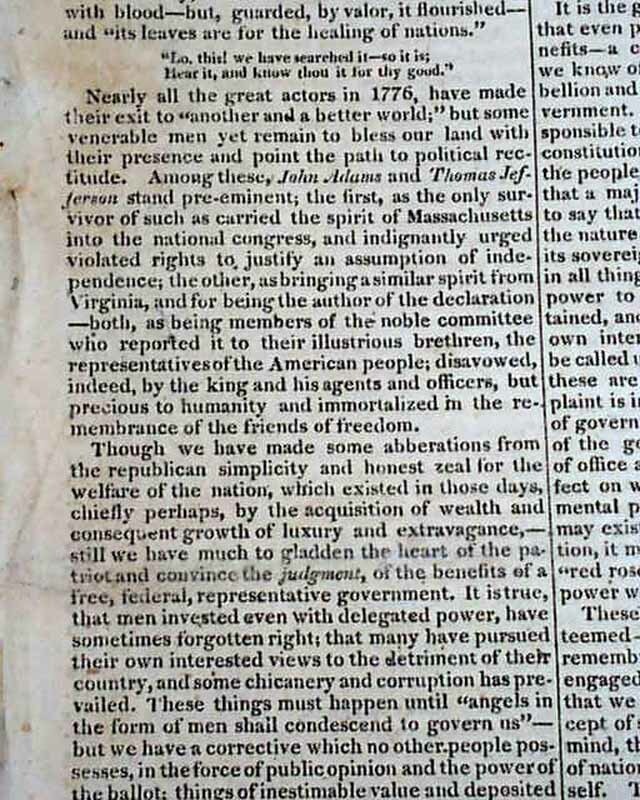 Some great reading, with one paragraph beginning: "Nearly all the great actors in 1776 have made their exit to another & a better world, but some venerable men yet remain to bless our land with their presence...among these, John Adams and Thomas Jefferson stand pre-eminent..." with much more. 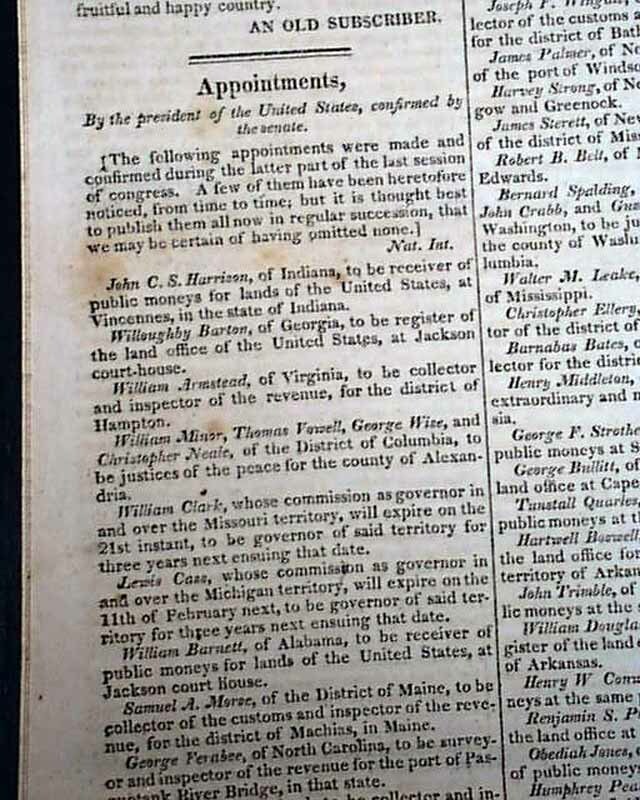 Also inside: "Silver Mine in Ohio--Again" "Appointments by the President of the United States" which takes over a full page with a lengthy list of names & positions; "Fourth Census of the United States" "Paul Jones" being the famed John Paul Jones (see) & much more. 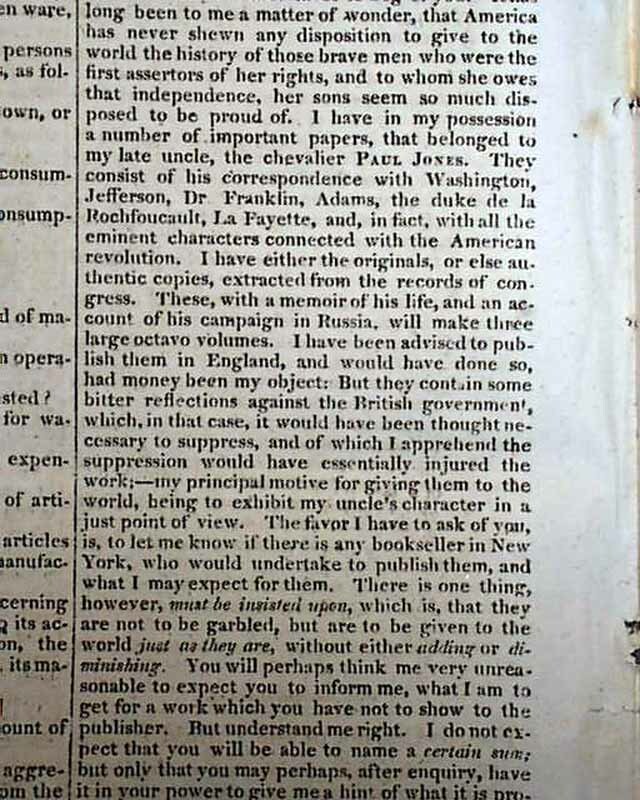 Sixteen pages, measures 6 by 9 1/4 inches, good condition.